Jonathan Kirk QC specialises in consumer law and financial regulation. In recent years this has primarily focused on issues of mis-selling, misleading prices, unfair terms and EU food regulation. In 2015 he represented a parking company in the seminal case of ParkingEye Limited v Beavis, arguing before the Supreme Court that a £85 parking ticket issued for overstaying on private land was not a contractual penalty or an unfair term. He also defended several national companies against allegations of mis-selling or misleading prices. He has substantial experience of litigation involving Part 8 of the Enterprise Act 2002, having represented parties in the OFT or CMA investigations into the supermarket, ticket reselling and furniture sectors. 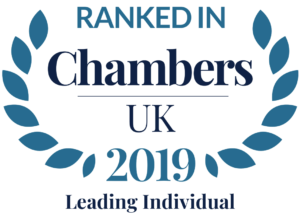 He advises NTS (‘National Trading Standards’), the CTSI (‘Chartered Trading Standards Institute’), the Bar Council and the Law Society on consumer law matters. He lectures widely on EU consumer and trading standards law. He has been an approved Bar Advocacy Trainer for 10 years and was appointed as counsel at the United Nations (ICTR) in 2005 and Queen’s Counsel in 2010. Brighton & Hove CC v Towers Property Developments Ltd (High Court, Ch Div, 2011): first Part 8 EA 2002 and CPUT trading standards enforcement against land banking company.